CK Business Consultants, Inc. Jim Afinowich - CK Business Consultants, Inc.
A nationally honored industry leader, Jim has developed and presented classes for regional and national trade associations for nearly 20 years. He has also provided expert witness services in cases relating to brokerage practices and standards of care. He is well-known as a creative problem solver. 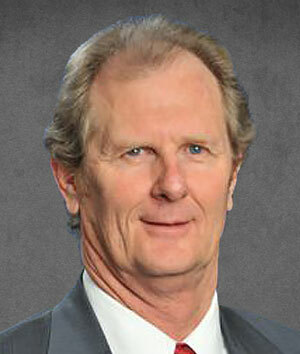 Jim Afinowich is a Partner and Designated Broker at IBG Fox & Fin in the Phoenix Arizona office. A mergers and acquisition firm founded in 1993. Today, IBG Fox & Fin represents business with sales between $2 million and $100 million. The firm has been selected Arizona’s number one business sales firm for twelve years in a row by The Arizona Business Magazine. Jim’s primary responsibility is overseeing the deal makers and expediting transactions. He has more than a quarter century of successful experience in the M&A industry and has managed and supervised more than 500 transactions. He is well-known a creative problem solver. A nationally honored industry leader, Jim has developed and presented classes for regional and national trade associations for nearly 20 years. He has also provided expert witness services in cases relating to brokerage practices and standards of care. Jim Afinowich is experienced in business. He has owned 15 businesses in industries from manufacturing to publishing, foreign trade and aviation, having launched multiple businesses domestically and internationally. Jim has employed hundreds of people and, like his clients, experienced the joys and challenges of business ownership. Jim is a lifelong Arizona resident. His two passions, after family, are business and aviation. He has held advanced ratings for ultra light aircraft and hang gliders, as well as conventional aircraft. Your CBR CD is the most complete information package we have seen in pursuing acquisitions.